Bruits is an exhibition which Le MEN has entrusted the poster of to Francois Schuiten, Belgian cartoonist and comic writer. It shows an image of high quality graphics and a strong visual impact. 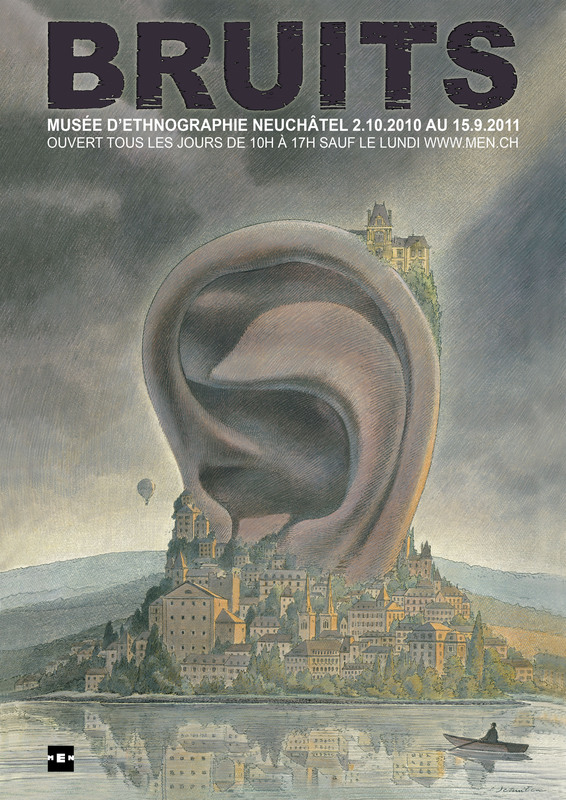 Invited by the Museum of Ethnography of Neuchâtel (Switzerland) and SAMEN in the spring of 2010, Francois Schuiten gave a lecture on how he sees the links between comics and staging. On this occasion, the Museum and the designer agreed to their next collaboration in the realization of the exhibition poster Bruits. Two hundred copies of reprints of the poster, with the only illustration of Francis Schuiten signed by the author himself, will be available at Le MEN in the month of October 2010.